My name is Losena Tituwere and I come from Naboutini village which is 92 kilometers from Savusavu town in the Province of Cakaudrove. I work as a social welfare officer and I joined Just Play Programme in April, 2017 during the Savusavu Just Play Course. I joined the Programme because I love working with children and while visiting communities we normally focus our awareness on adults and had never use games before to deliver social messages to children. Before participating in the Just Play Programme I was a shy girl and usually afraid to talk to the crowd let alone group of children. Just Play really changes my life, now I find myself confidence to stand in front of the crowd and it also boosts my work as well. I feel great every time I am assigned to go to communities for work as I am able to speak in front of others and also able to involve children with fun games activties with messages related to my work scope as well. The most significant change I have had because of what I learnt from the Just Play Programme is changing the types of food that my family and I eat daily. Tin fish or can foods have been minised and we switch to eating healthy and eat fresh local foods.Lastly,I, I am able to do some physical activity and now I am part of the Just Play monitoring team in Savusavu spreading the messages to children in communities and schools that we target through the Programme. 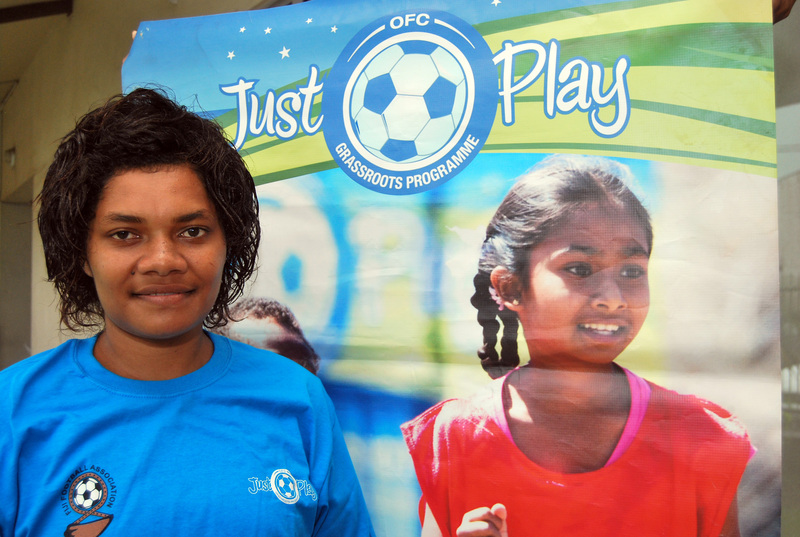 Thank you Fiji Football Association for bringing this wonderful OFC Just Play Programme to Savusavu. Naboutini children really enjoyed participating in every sessions. I would also like to thank all its financial partners as well.